Kick up your heels and get going - the Salty Southern Route is a shopper's delight. 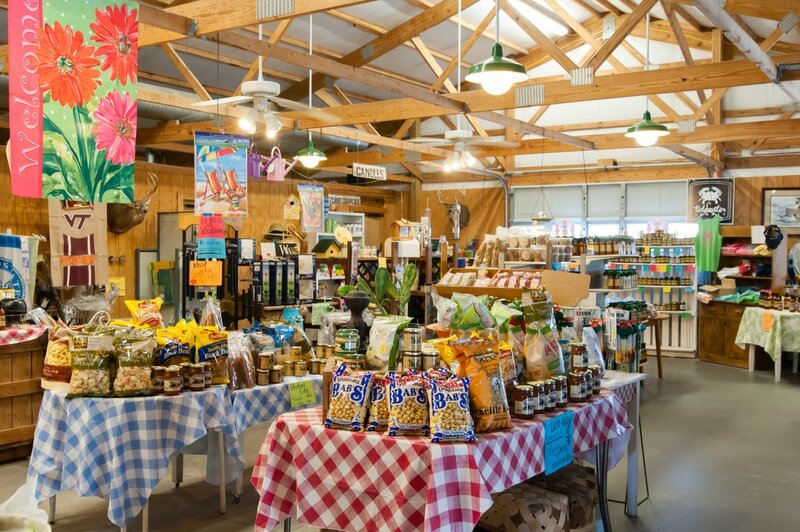 From the charming country stores offering local wares and culinary treats, and the independently owned shops that line Smithfield's Main Street and the major department stores and chains in the heart of Suffolk, you'll find everything you need. And a few things you just wanted! Grayson & Emma's Garden Spot located directly off Highway 58 has something for everyone. 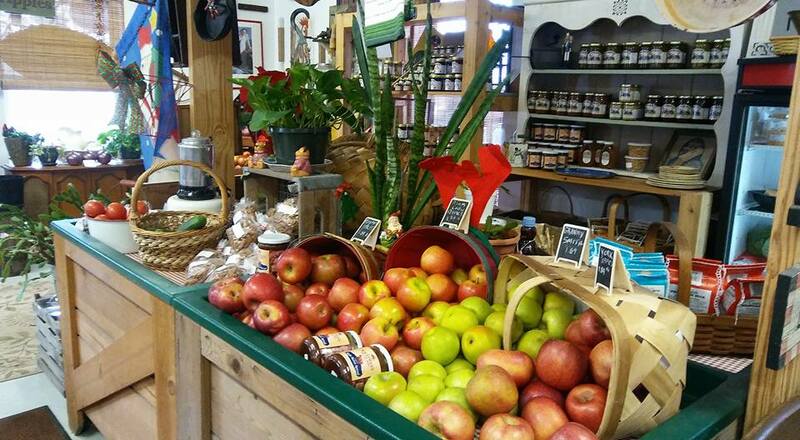 Enjoy fresh seasonal fruits, vegetables, locally caught seafood and homemade treats. Shop for garden flags, collegiate apparel, seasonal decorations including pumpkins, Christmas trees, hanging baskets and more. 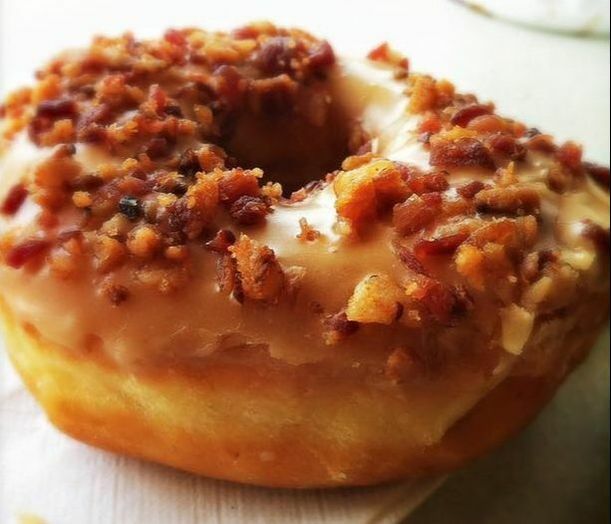 The Gurganus Peanut Outlet offers a wide variety of cooked and raw peanut products, Village Candles, Virginia Hams and bacon, and an assortment of homemade crafts. Stop in and pick up seasonal decorations including pumpkins, gourds and much more. 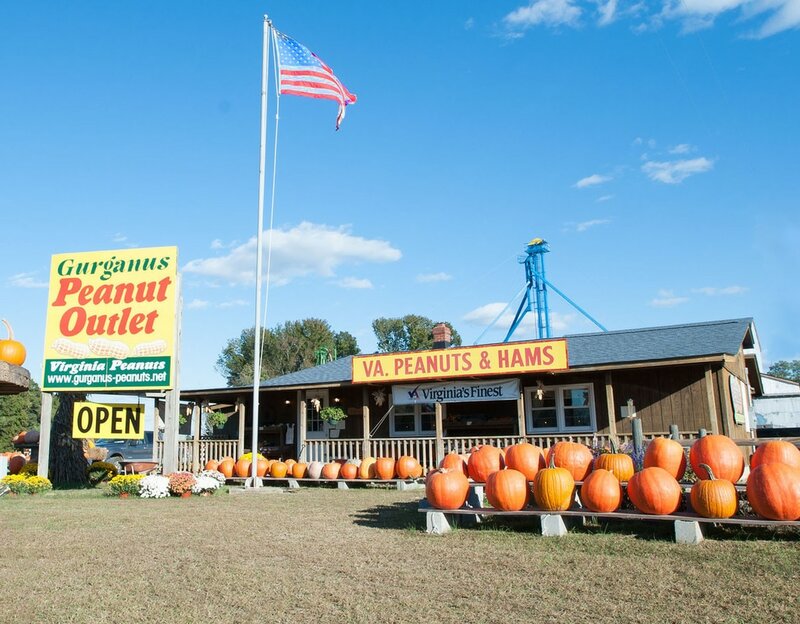 Hubs Peanuts is Virginia's Oldest Continuously Family Owned and Operated Peanut Processor since 1954. From salted to salt-free, in-the-shell to out and from chocolate or plain Hubs Peanuts has something for every type of peanut lover. Come and pick up your fresh peanuts in Sedley, right where they were originally born. Call ahead for store hours. 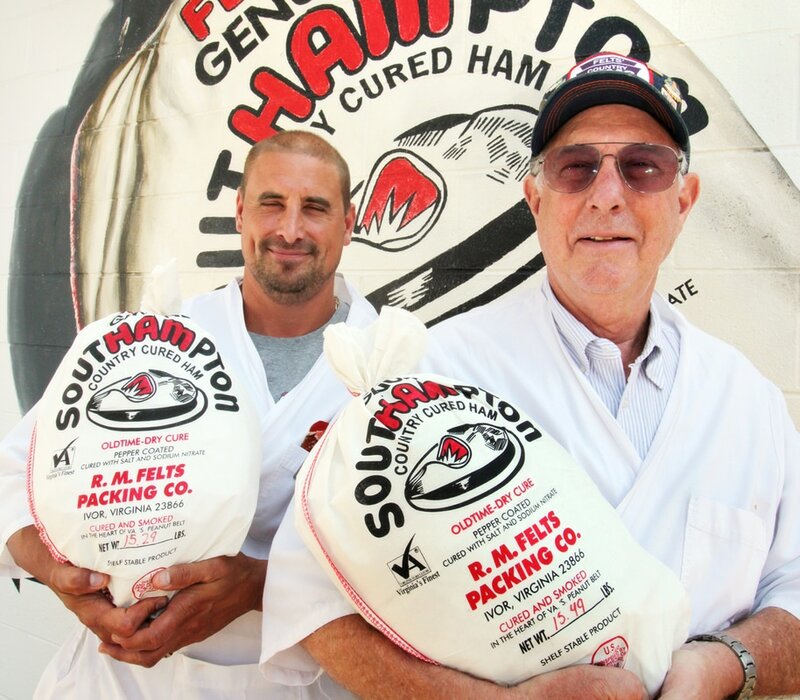 R M Felts' Packing Co. located in Southampton County puts the "ham" in Southampton. 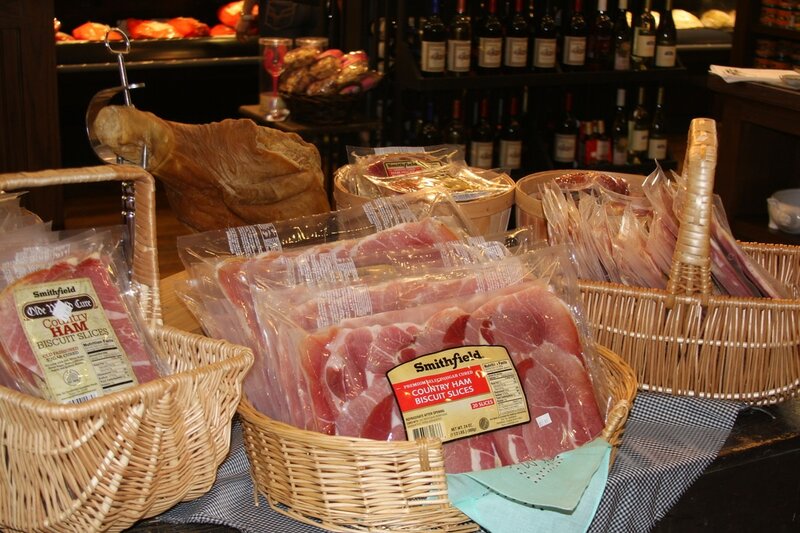 Stop in to get delicious cured country ham, bacon and other delicious cured meat products. 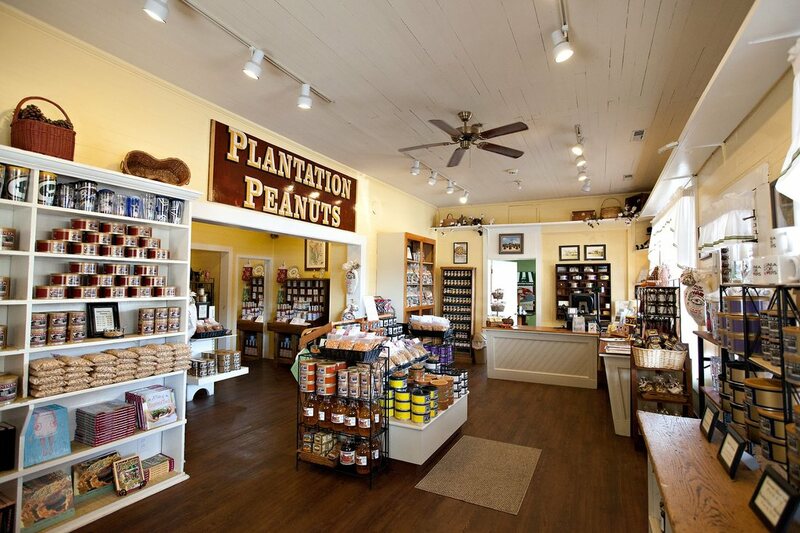 The Peanut Patch Gift Shop, located on Route 58 in Courtland, VA, is an unexpected pleasure where you'll find quality gifts, specialty foods and wines, the world's best Virginia Peanuts, FERIDIES, and unsurpassed customer service. 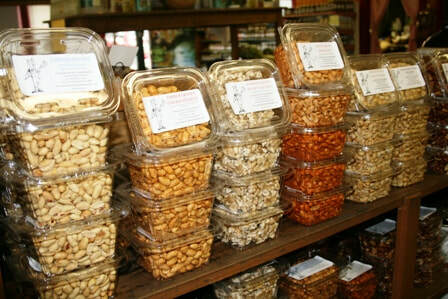 The Peanut Patch is nearly as famous for their friendliness and down-home atmosphere as for our delicious peanuts. 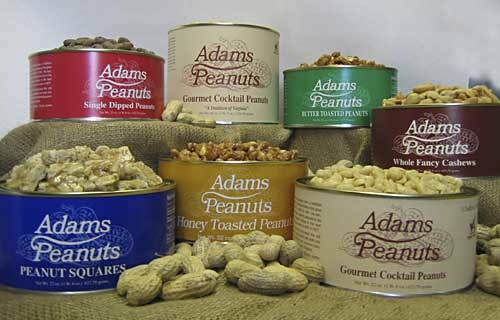 Since 1973 their family has been promoting Virginia peanuts around the world. 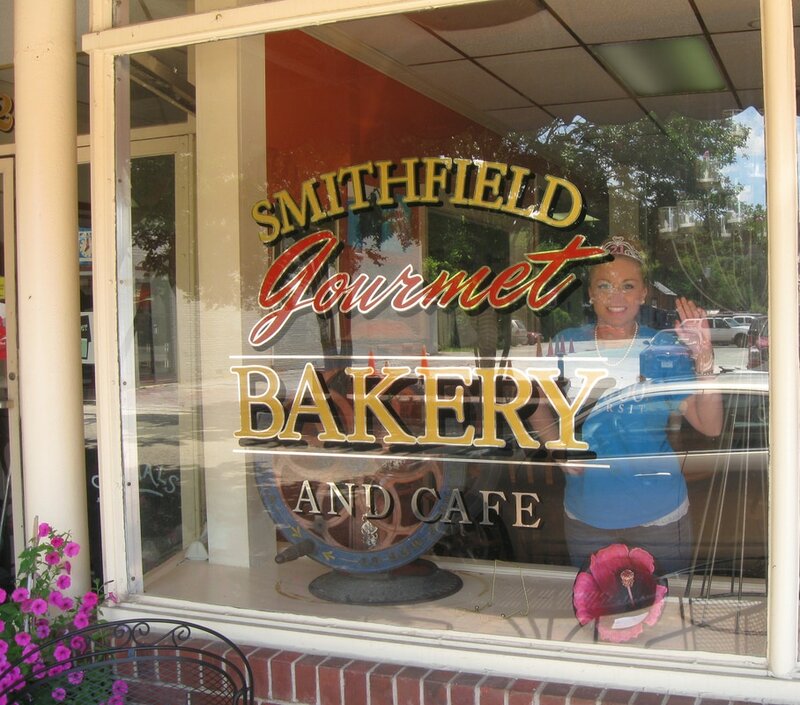 A step into Genuine Smithfield's Historic District is a step back in time when there were ice cream parlors, dress shops and something for children of all ages. Wander through antique stores and reminisce of days gone by. 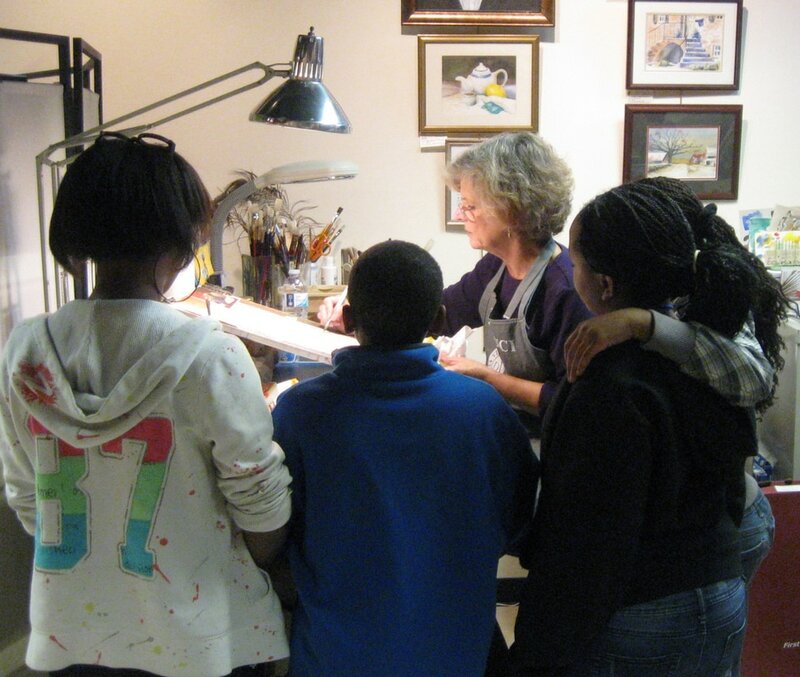 Stroll into a variety of specialty shops to find just the right gift for a friend or loved one. 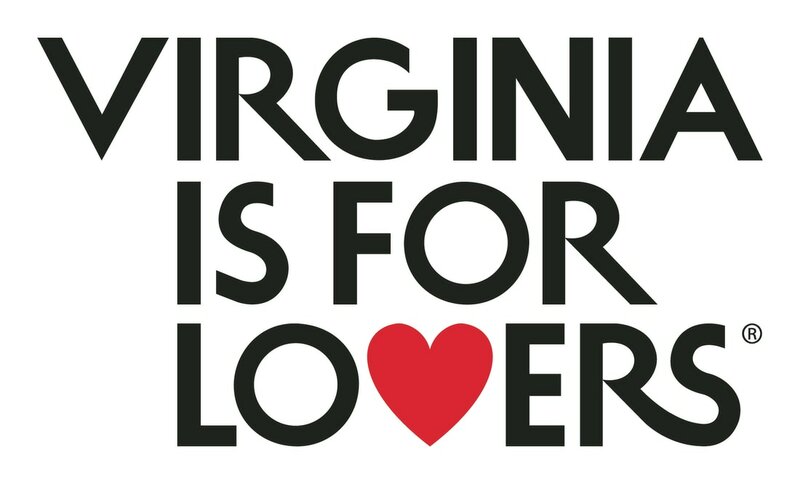 Offering cured and smoked meats, sausages and other food products, many having achieved the "Virginia's Finest®" designation, including the Cherry Smoked Ham, Country Ham, Cottage Bacon, Smoked Sausages, Beef Jerky, Beef and Pork Bulgogi, and most recently two out of their seven BBQ Sauces. 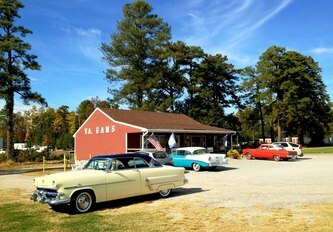 The flagship ham shop and cafe of Smithfield Foods, Taste is a restaurant and shop where visitors can sample and savor Southern fare and celebrate the heritage and flavors steeped in the traditions of the South. Smithfield is where hams became uniquely American and peanuts became intertwined with Southern culture. 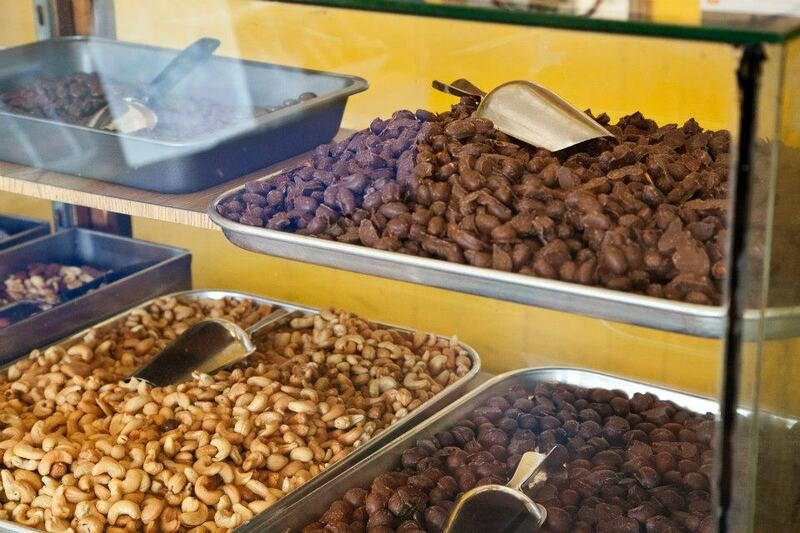 Taste offers it all - fresh peanuts, ham and pork items and gourmet delicacies. Make everyday a holiday with Yummaries' baked goods, desserts and gifts - deliciously homemade, fresh when you need them and sure to please your family and friends! Arthur’s Store is a quaint retail and food serving business that is earthy, has vintage style, and a historically hip atmosphere. Quirky art, antiques, BBQ, hot dogs and more! Live music. Daily home cooked meals specials, sandwiches, baked goods and homemade ice cream. A family owned and operated business for more than 20 years, Farmer Frank's also provides catering services for Suffolk events. They’re take you back to the good ol' days when we grew our own produce. See the garden right out back. 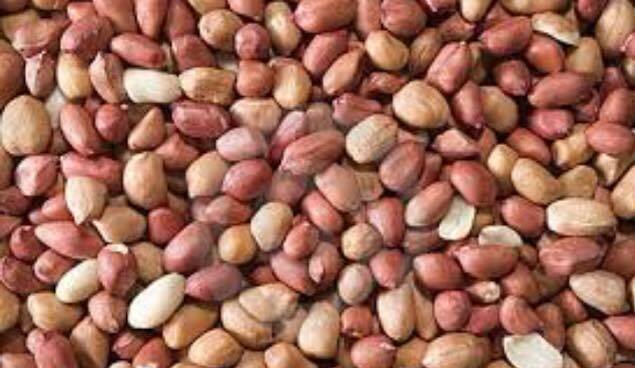 Homegrown peanuts sold by the pound and even by the bushel. Plus...antiques, boiled peanuts, candies, candles, crafts, gifts, hoop cheese, jams, jellies, meats, nuts, pickles, preserves, etc. Quirky country cooking, boiled peanuts, freshly baked pies, straight-from-the-garden fruits and vegetables and so much more. Grab a bite to eat, shop and fall in love with Suffolk's eclipse community. 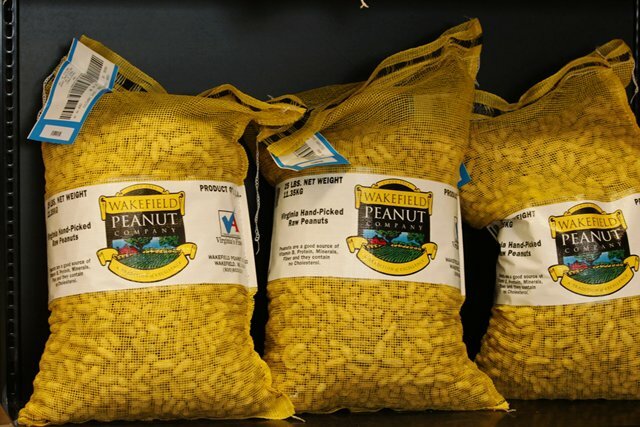 Owned and operated by John Brock, a third generation farmer in Surry County, BCS offers extra-large, fancy peanuts which are planted each year in May, harvested in October, and proudly wear the label "Bacon’s Castle Peanuts." This small shop on Route 10 offers their branded peanut products as well as other locally made fresh food products. At the right time of year, guests to the shop can watch peanuts being processed.